2 ton kit suitable for up to 15 cablings. 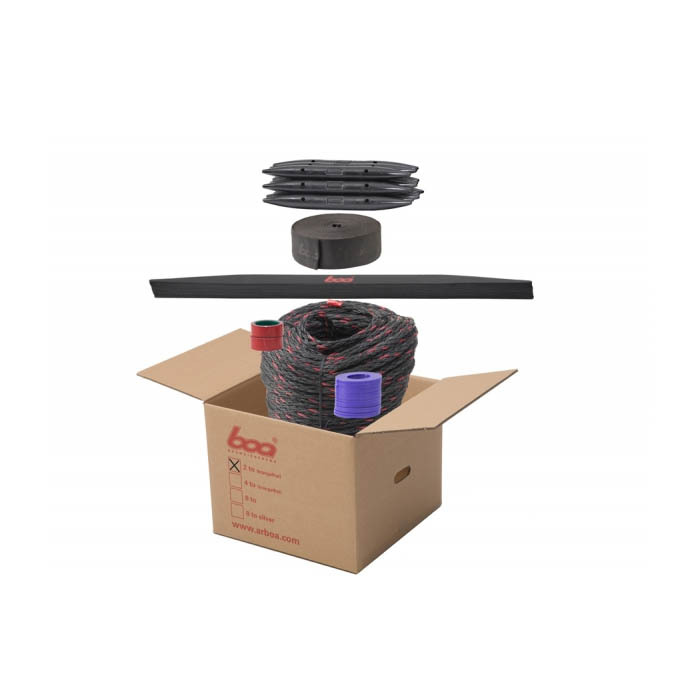 BOA 2 tons complete kit consisting of: 100m (328') of BOA Rope, 12 Shock Absorbers, 25m. (82') of Anti-Abrasion Hose, 30 Expansion Inserts, 15 colour nylon washer to identify the year of the installation and one roll of adhesive P.V.C. tape.